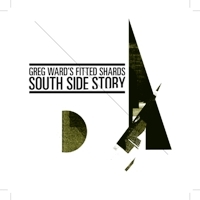 Greg Ward (born 1982) is rapidly emerging as one of the leading virtuoso saxophone players of his generation, with a unique versatility in a wide variety of styles including Modern Jazz, Funk, Latin as well as Classical, Indian, Klezmer and African Music. Ward grew up in a musical household, singing in Gospel groups as a child before the discovery of Charlie Parker led him to dedicate his life to the saxophone. Honors quickly followed, including the Downbeat Magazine High School Jazz Soloist Award (2000), participation in the exclusive Stean’s Institute at Ravinia (2001), scholarships from the Vail Jazz Workshop in Colorado, and selection as a Jazz Mentor with the Jazz Institute of Chicago. In 2002, Saxophone legend Fred Anderson hand-picked Ward to curate the Wednesday Night Jam Sesssions at Chicago’s Premier Jazz Club, the Velvet Lounge. 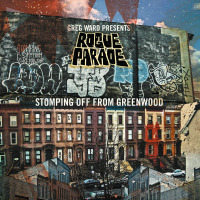 Ward has performed with musical greats including Von Freeman, Frank Wess, Al Jarreau, Carl Allen, Rufus Reid, Jeff Parker, Brian McNight and Hamid Drake, touring across the world in countries such as Peru, Singapore, Guam, Japan, Italy, Switzerland, Holland, France, and South Africa, and has been featured at festivals including Ravinia, Souns d’ Hiver, Montreaux Jazz Festival, Umbria Jazz Fest, Vision Festival in NYC, and Suoni Per Il Popolo Festival in Montreal. He is a member of Ernest Dawkins’ Chicago 12, the Occidental Brother’s Dance Band, Ted Sirota’s Rebel Souls, the Proliferation Quartet, Bindu and the Chicago Afro-Latin Jazz Ensemble. He also leads the experimental soul band We Tree, and co-directs the TBD Improvisation Orchestra, and has recorded for the Roguart, 482 Music, Dawk Music, and Delmark (release in 2008) labels. Ward’s diverse musical interests have led him to explore the world of Classical and Crossover music as a composer and performer. Recent commissions include a chamber work for ICE (International Contemporary Ensemble), a new ballet for the Peoria Ballet Company, and a septet for Gallery 37’s Downtown Sound Gallery Composer’s Series. In June of 2007, he composed a quartet for sax, cello, guitar, and percussion(Infatuation With the Flame) that was performed as a part of the International Contemporary Ensemble's ICE Fest 2007 and on the Chicago Symphony Orchestra Chamber Music Series. All About Jazz musician pages are maintained by musicians, publicists and trusted members like you. Interested? 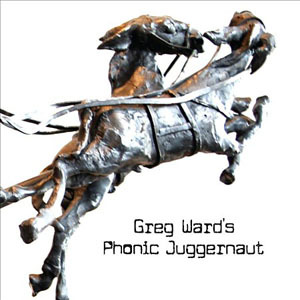 Tell us why you would like to improve the Greg Ward musician page.